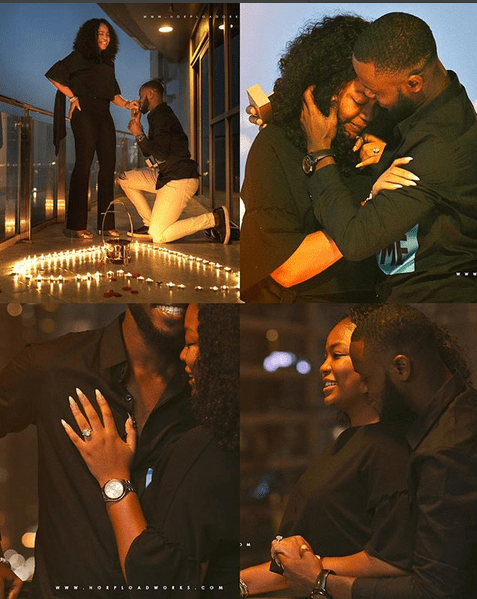 A Nigerian professional photographer, Jide Kola, is engaged.. and he proposed to his woman in the most romantic way in Dubai. His lady who suspected she was about to be proposed to was left “disappointed” after searching for the ring all to no avail. 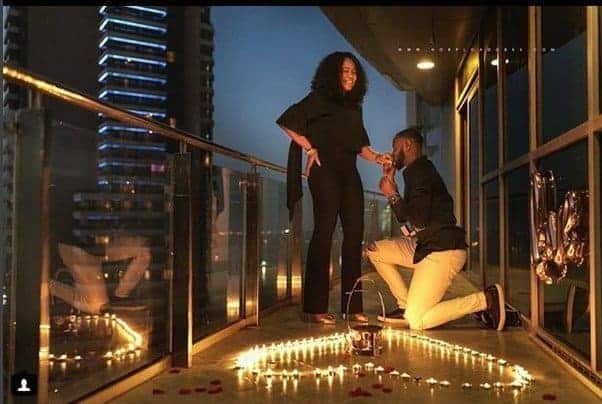 Jide had been owing me a vacation to Dubai for so long, in fact I had a Dubai flight ticket that had been rescheduled more than thrice, because there’s always one wedding or the other making him busy. I can’t complain too much, I’m dating a workaholic..
We packed for the trip, Dubai here we come… Finally! I searched his whole house for a ring, the whole travel boxes… No ring; so this guy won’t propose to me in this our Dubai Waka. When we got to Dubai, he took me shopping to buy a dress and said we were going to a house party with his long time friend that lives in Dubai, i tried on a few dresses and we arrived at one. I should have guessed. We left for the party later that evening, his long time friend took us there, and on opening the door to the “house party”; boom! It was our pictures, and balloons and rose petals, with gentle music playing in the background. He led me to the balcony and I saw four of our closest friends holding balloons. Nobody told me y’all were in Dubai.